VH1’s beloved, popular franchise, “VH1 Divas,” returns and will pay tribute to the cities where soul gave birth to music’s most powerful classics and inspired today’s divas. 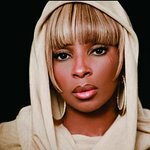 Mary J. Blige, Jennifer Hudson, Jill Scott, Florence + The Machine, Kelly Clarkson and Jessie J will pay homage to these cities and soul music’s timeless classics at New York City’s Hammerstein Ballroom. “VH1 Divas Celebrate Soul” will bring together some of the best singers across the globe, men and women alike, to honor the soulful cities that inspired these divas and their art. The cities honored include: Chicago, Detroit, London, Memphis and Philadelphia. Accompanied by one of the most exciting groups of modern soul, The Roots, with Questlove as musical director, each diva will pay tribute through not only their own soul-inspired songs, but some of the greatest classics that have shaped a genre. 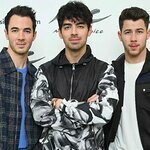 As in previous years, this edition of “VH1 Divas” will benefit VH1 Save The Music Foundation and its programs to restore music education in public schools. Visit DIVAS.VH1.com and Twitter at @VH1 and #VH1DIVAS for more information. Premiering on VH1 in 1998, “Divas” became synonymous with some of the most memorable, live, female vocal performances in television history. The show quickly became a highly anticipated annual phenomenon, generating speculation among music fans and industry executives on who would be part of that year’s telecast. Last year, the “Divas” saluted the armed forces with The USO Presents: VH1 Divas Salute the Troops with Katy Perry, Nicki Minaj, Sugarland, Keri Hilson, Paramore and Grace Potter and The Nocturnals. Previous featured performers over the years included Diana Ross, Tina Turner, Cher, Mariah Carey, Céline Dion, Aretha Franklin, Shania Twain, Faith Hill, Whitney Houston, Beyonce, Chaka Khan, Adele, Miley Cyrus, Leona Lewis, Jordin Sparks and numerous others have graced the “VH1 Divas” stage.